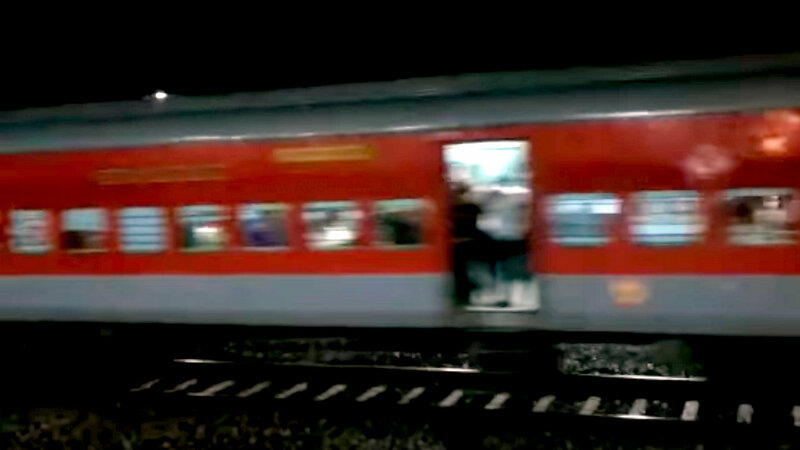 In a breach of safety, 22 coaches of an express train with passengers on board, traveled for 15 kms without an engine. Alert staff saved the Ahmedabad-Puri Express train and all passengers on board from sure disaster. The staffer noted that this train was minus its engine and ordered to put stones on the track in time, which brought the train to a halt. But not before it travelled a distance of 15 kms. Indian Railways has come out strongly. They have said that at no cost safety of passengers can be compromised. 7 railway staffers have been suspended for this incident which could have caused much damage to the train and put the lives of its passengers at risk. Watch the video below. One of our readers, Bharat Raj explains, “The contact between wheel and track can be as less as 2-4 mm. This means the rolling resistance of coaches and inertia is also less. When these coaches are attached together they form a chain. So due to some initial force they may have started rolling, but when the first coach tends to stop or slow down the other coaches pushes it due to momentum this keeps continuing as train has 22 coaches and this means if 10 coaches are at upper gradient they will be pushed by 12 coaches at lower grade. As I mentioned earlier this forms a loop system and continues till the rack has momentum. These are LHB coaches that uses FTIL brakes hence chain pulling will not work unless main is connected to reservoir. There is a chance that guard may have gotten down the train while coupling hence losing the last chance of braking. The incident occurred due to non-application of skid brakes on the wheels of the coach. It was the duty of the staff to put the skid brakes on the wheels of the coaches when an engine is detached to be added to the other end of the coaches. This was not done and hence two engine drivers and three carriage repair staff along with two operating employees have been suspended. The engineless coaches travelled from Titlagarh station towards Kesigna in Kalahandi district without an engine. A certain section of this route is downhill and the train gathered speed. On nothing this discrepancy, the level crossing gates were ordered to be closed from the control room. The speed of the coaches too slowed down as it was an up-gradient which made it easier to bring the coaches to a halt as nervous level crossing employees put stones on the track to stop the coaches. Following this, an engine was then sent from Titlagarh to bring the coaches back to Kesinga. ECoR General Manager Umesh Singh has ordered a probe into the incident and promised corrective measures and strict action against those responsible. He has also ordered an enquiry report which has to be submitted with 3 days. Railway Board Chairman Ashwani Lohani has also ordered a safety drive across all railway networks which will be conducted jointly by operating and electrical departments.